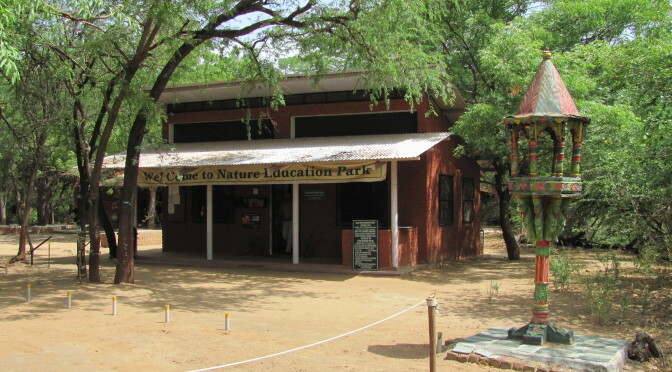 To provide nature eduction to various sections of the community, particularly, to students and youth, Nature Eduction Camps are organized at different locations in different ecological regions. This provides unique experience to participants to be in different nature conditions. The camps are of various duration but mostly they are of 3 days for a batch. The accommodation is in tents and other minimal amenities are provided.The participants are taken out of trekking, even at night, and programmes like sky observation, identification of vegetation, animals and their foot marks, bird watching, nature trails etc. are part of the camp activities. Under this programme, the participants, mostly students, are taken on a tour to places which they come across in their school syllabus. This leads to their better appreciation pans of desert, ravines, salt pans, coral islands, hills etc. Thus while visiting the places they have read in their text books, students become sensitive to wider ecological concepts. This is an intensive teaching programme. Students and others are taken ot a location of interest and given detailed knowledge about all the aspects of the location. Participants are given an opportunity to interact with local people, their culture, their habitat and life style. Well qualified staff and invited faculty give popular lectures on topics related to nature, its conservation and environment. Such lectures / presentation are also given by members on the Board and the staff on TV. Literature on nature is prepared in the form of poster, newsletter, leaflets, etc and distributed to school and other institutions. Besides this the Society has got a good library on nature. The Society has published a book in Gujarati on “Environment of Gujarat” in a simple and easy to understand language. This is probably the first of its kind in the State.